We supplied this Fan Bearing Housing Assembly to a new customer this month. With a Steel Tubed construction, the complete unit was assembled and fitted by Bri-Mac. To suit Oil lubrication, this special unit had to match a special foot print and the base holes were designed to suit. Used extensively in Industrial Fan applications, this type of tubular housing is becoming more and more popular. 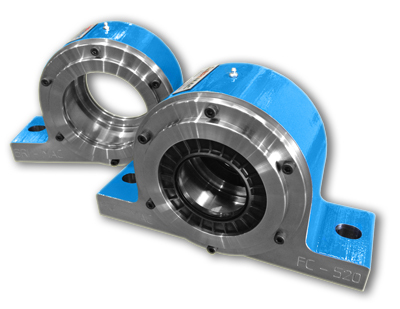 More upgraded Bearing Housings this month. 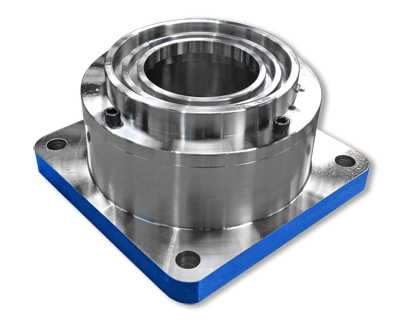 Solid Flame-Cut Steel Bearing Housings replace old Cast Iron units that failed to with-stand the harsh conditions in a Steel Mill. Detachable End Covers enabling easy maintenance. 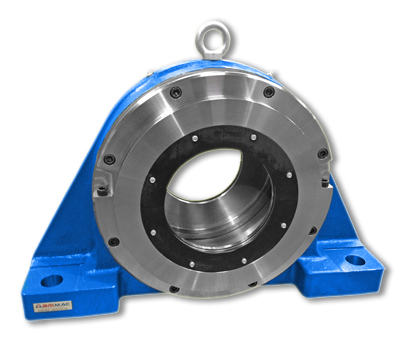 June showcases a large Cast Steel Bearing Housing with Split End Covers and Rotary Shaft Seals. These Custom split End Covers show the versatility of Bri-Mac's Engineering. End Covers manufactured from Flame-Cut Steel to deliver high strength, low cost and rapid turn around. Another set of Flame-Cut Steel Bearing Housings produced by Bri-Mac this month. Custom designed with detachable End Covers. 4 x hold down bolts and 12 bolts each side for end covers ensuring extreme strength and durability. 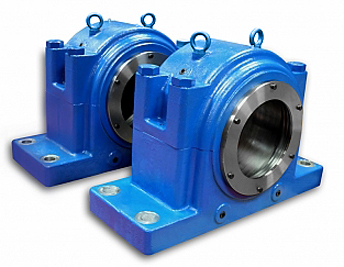 Two large Bearing Housings were needed in a heavy duty Quarry. Bri-Mac reverse engineered some custom Housings to suit the Quarries needs and keep operations running. 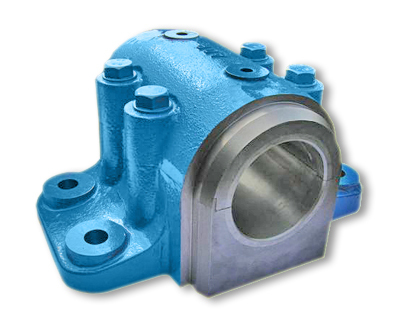 Steel Bearing Housings in March replace standard 'off the shelf' Cast Iron flanged Bearing Housings. Made from Flame-Cut Steel, these Housings have a rapid turn around and stand the test of time. 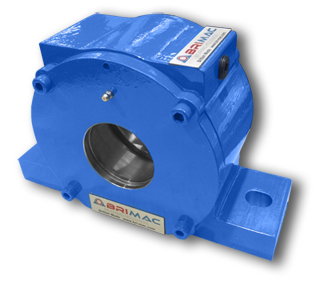 This month Bri-Mac produce some wide bored Bearing Housings with a sprayed metal Bearing surface. High strength and quality as usual delivering a top quality product for our Customers. Start of the new year and Bri-Mac are busy as usual producing some custom designed solid water-cooled Bearing Housings. 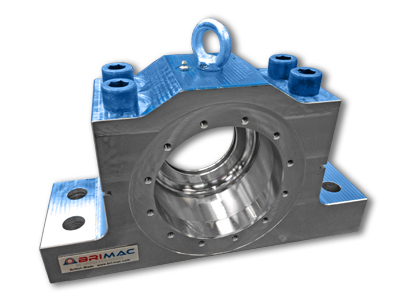 Water travels 360 degrees around the bearing to produce the ultimate cooled Bearing Housing.